Heat the oil in a casserole dish and add the spring onions and coriander stalks. 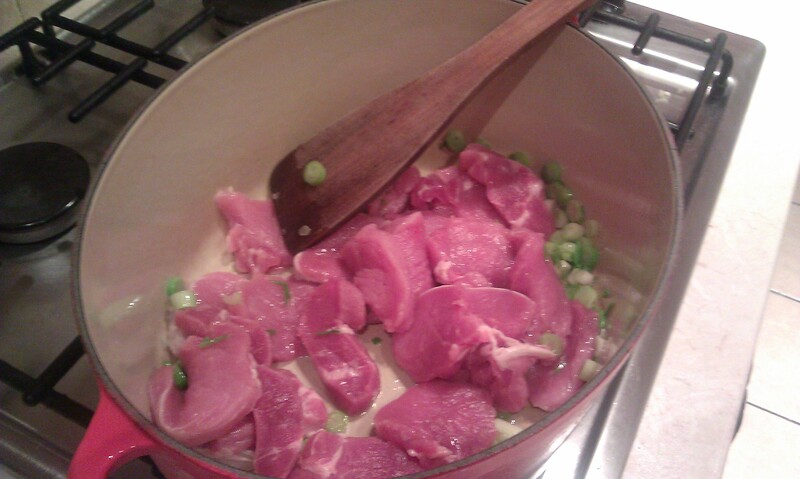 Cook them for 1 minute, then add the pork slices and cook for 5 minutes, until starting to brown. 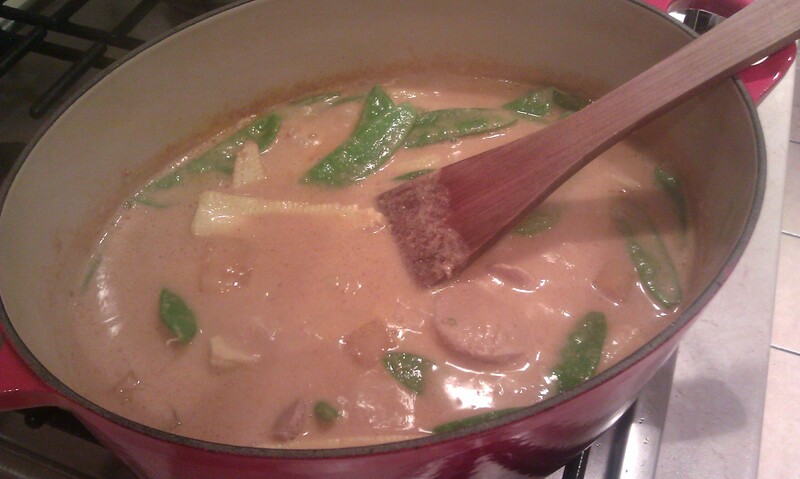 Stir in the curry paste and peanut butter, then after 30 seconds, add the sugar, soy sauce, butternut squash and coconut milk, along with half a can of water. Mix well, bring to the boil then put a lid on the casserole dish and leave to simmer for 15 minutes, stirring occasionally. After 15 minutes, remove the lid, add the corn and mange tout and increase the heat – let it bubble away for 3 minutes, until the corn and mange tout are cooked and the sauce is thicker. Stir in the lime juice and season to taste. Serve with the steamed jasmine rice and scatter with coriander leaves.